Almost all issues are either sold out or soon to be so. Issues #1-7 are gone, last copies of #8. #9 still decent availability. Print run was 1000 copies. SI #10 final adjustments during december 2017! Book your ad space now. Do not include text or important graphics closer than 5mm from edges. Especially in left and right. This is to ensure all can be seen/read in paperback binding format. 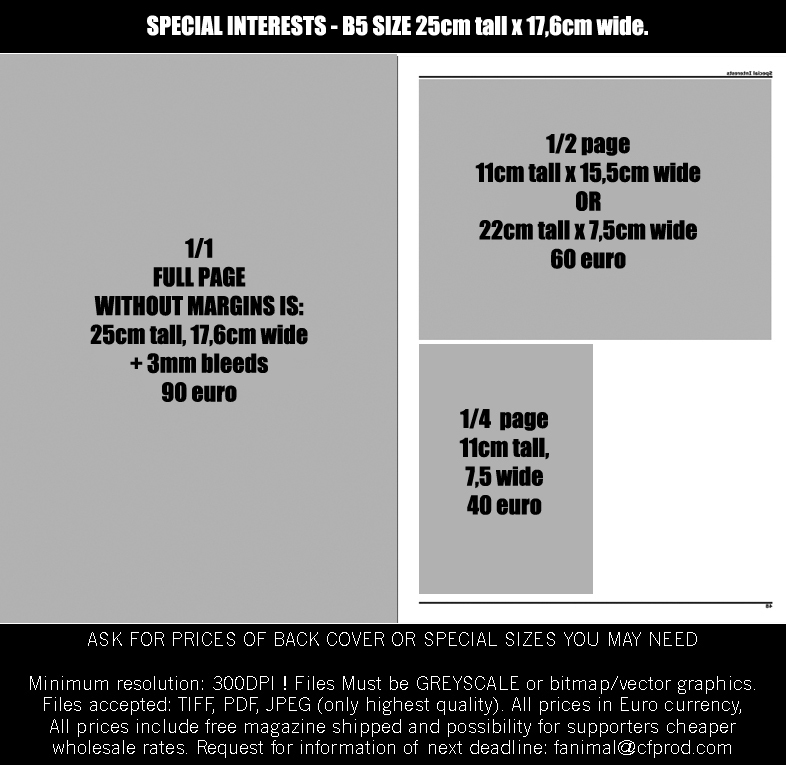 All funds goes into covering part of the print costs to keep price of magazine affordable, both wholesale and retail. All who purchase ad space, get 1 free magazine shipped internationally. Deadline to book space (limited availability): A.S.A.P. Deadline to submit print quality graphics: December 20. Inquire about how to send large files. Don’t email giant sized files. SPECIAL INTERESTS #10 out now!